Your locks may stop working any time and finding a professional locksmith you can trust to get them working again may not always be easy, especially when time is of the essence. 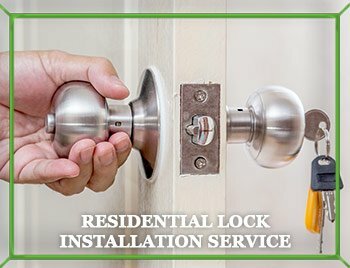 Captain Locksmith Shop in Los Angeles, CA area is a locksmith service you can rely on when you need quality lock-related work done on an emergency basis. Our locksmiths are experienced professionals that provide a wide range of residential, automotive, and commercial locksmithing services when you need them the most. Our team can fix your broken lock systems quickly and get them working as good as new – or, if that doesn’t work, we’ll replace them with the high-security variants we carry in our inventory. We are a fully mobile firm that provides our services in Los Angeles and all nearby regions 24 hours a day, 7 days a week. Our service is known locally for being effective, reliable, and affordable. Assistance with home lock-outs: Being locked out of your home can be frustrating. Our locksmiths will have you back in before you know it. Lock re-keying: You can get better control over who has access to your property by getting all the locks rekeyed to work with new keys. Lock repairs and upgrades: We make short work of broken locks. We can also set you up with cutting-edge smart locks. Mailbox locks: Need a deadbolt lock installed on your unprotected mailbox or need your old one replaced? Just call us! New keys made: We can make you new precision-engineered keys for your home doors and other items in a matter of minutes. Unlock vehicles: Left your keys in the car and closed the door on them? Our locksmiths can get your doors open, no matter the make or model of your car. Make new car keys: We make standard car keys, remote car keys, as well as transponder keys – or smart keys, as they are called popularly. Unlock car trunks: Locked and jammed car trunks are more common than you might think. We’ll have yours open quickly, even if you’re stranded in the middle of nowhere. 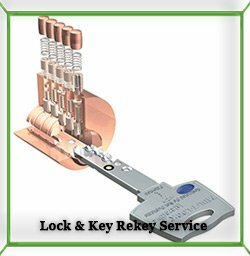 Extract broken keys: We have the tools and experience necessary to remove broken keys from locks without damaging the sometimes-delicate inner locking mechanism. Repair ignition switches: Faulty ignition switches cause your car to stall when you’re driving it. We’ll repair yours or replace it with a new one. High-security locks: We offer very secure, leading-edge locking systems for businesses like biometric locks and combination locks that provide airtight security for your property. Safe and file cabinet opening: Need a safe or file cabinet unlocked? We can do it for you without damaging your valuables. Panic bars for fire exits: You can get a variety of push bars from us for your fire exits, depending on your requirements and the layout of your building. Master keying locks: If your lock systems support the procedure, we can turn your existing system into a master key system that can be opened with a single key. Eviction locksmith service: Have a problem tenant? We can help you evict them and then we’ll help you secure your property to prevent retaliation damage. 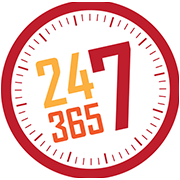 Our locksmiths are on call 24 hours a day and seven days a week. You can hire us when you need us the most or at a time that’s most convenient for you. Some of our clients prefer to schedule our services overnight, so we don’t interrupt their daily lives. Unlike many of our competitors, we won’t charge you extra during ‘emergencies’. Our locksmiths are true professionals that thrive under pressure. Captain Locksmith Shop has been an active presence in the Los Angeles, CA community for well near a decade. We have handled countless locksmithing requests during our time in the field and locals have come to rely on us when they need a job done quickly as well as right the first time. We employ a handpicked team of trustworthy locksmiths that are well-qualified and have the experience and know-how to work on even the most cutting-edge locks out there. We stock your favorite high-security systems and brands – Yale, Mul-T-Lock, Falcon, ASSA, and Schlage, and more – so that you can keep your family as safe as possible from thieves and vandals. We believe in offering a value-for-money service, so you can always get high-quality work done from us without breaking the bank. Being a truly mobile locksmith, our team patrols the local region 24/7 and we endeavor to be there for you when you need us the most – be it in the middle of the night or even on major holidays like Christmas! Why is Captain Locksmith Shop your best bet? Wide area availability: Our mobile team can reach all areas of Los Angeles, CA in a short span of time – usually in 20 minutes or less. We pride ourselves on our lightning-quick response times. We don’t want to keep you waiting for hours on end, especially if your requirement is urgent. Pocket-friendly solutions: We have solutions for every budget. We can install high-security locks for you at an affordable price. We offer cheap car keys, too. If you hire us at night, we won’t charge you extra for our services. We never compromise on the quality of our products and services. Experienced and friendly team: Our locksmiths know what they are doing and you can trust them to not damage your property or your locks in any way while working. We provide our locksmiths all educational material they need to keep up with changing trends in the industry. 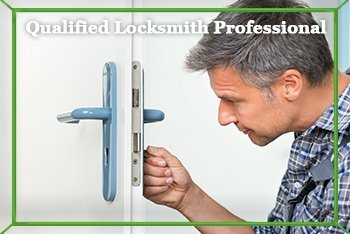 Free consultations: Worried about how much new locks are going to cost you? 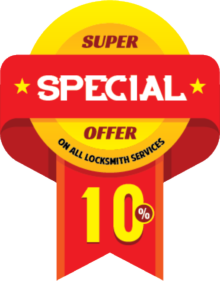 Our locksmiths can be consulted for free and we’ll come up with a low-budget plan for your property. We offer free consultations for home, car, and business owners – you can use our experience to keep your property safe from external threats. Get in touch with us today on 310-765-9487 !